The company is well known in the market for the excellent Decoration Services which we offer. We offer Decoration Services for various occasions such as events, functions, marriages, engagement, birthday and other ceremonies. The decorations are carried out as per the type of the function and the theme decided by the clients. These Decoration Services are carried out at very reasonable rates in the market and they are carried out on time as per requirements. 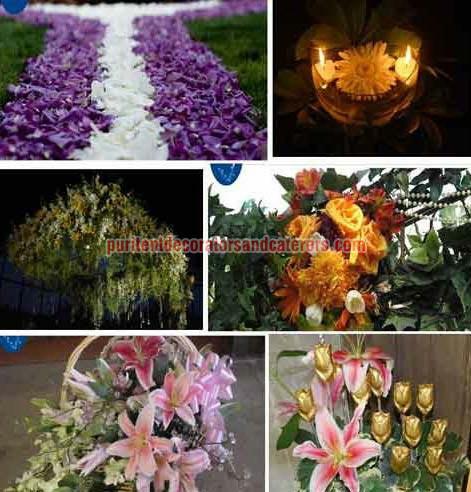 These services include Flower Decoration and Tent House Decoration services. Our clients can avail from us the exquisite range of Flower Decoration services for various occasions and events. The Flower Decoration done is specially handled by our highly experienced team so as to make the occasion in a joyous way. 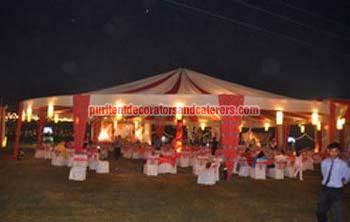 Puri Tent Decorators & Catering supplies wedding tents that are in high demand all across the country and are ideal for wedding parties. Our Tent House Decoration services exhibit elegant and royal look and provide extra space for the extra quests.